In this next decorating post I want to focus on things you might not think are worthy of saving…like parts to an old piece of furniture or an old picture frame that’s a color that no longer matches your room. Don’t get rid of it! 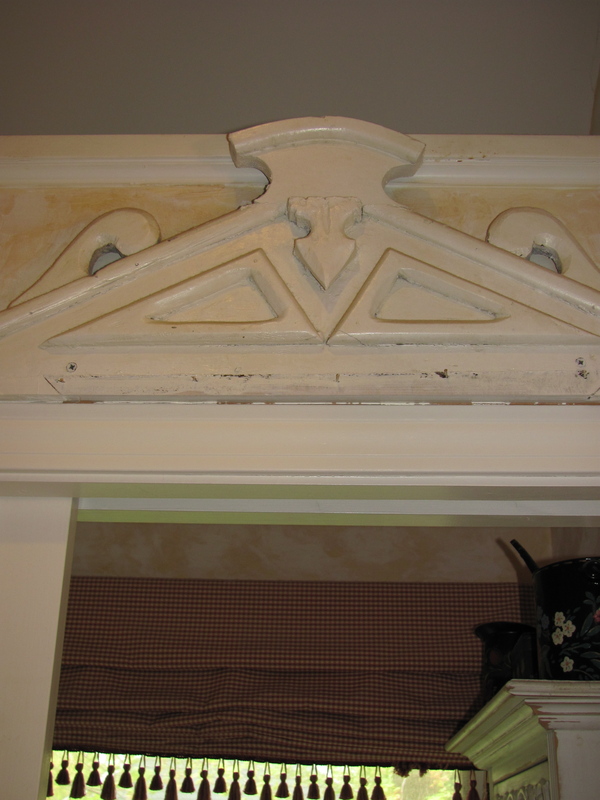 Architectural pieces, even if broken or uneven, can make for an interesting decorating accessory. 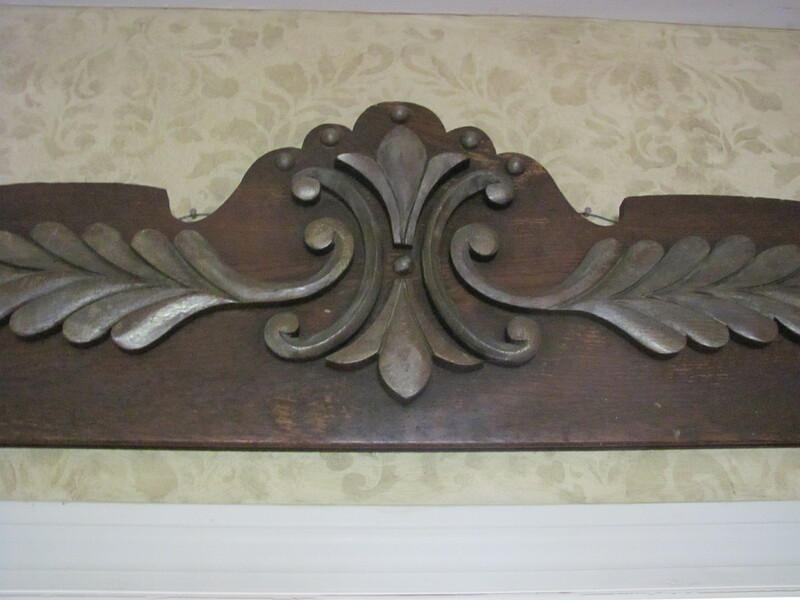 This carved wood piece, once the top to a walnut sideboard, hangs over a door creating a dramatic entry. Once the top to a dresser with a mirror in the center, this piece (with a little revamping) now acts as a beautiful frame with custom painted artwork. 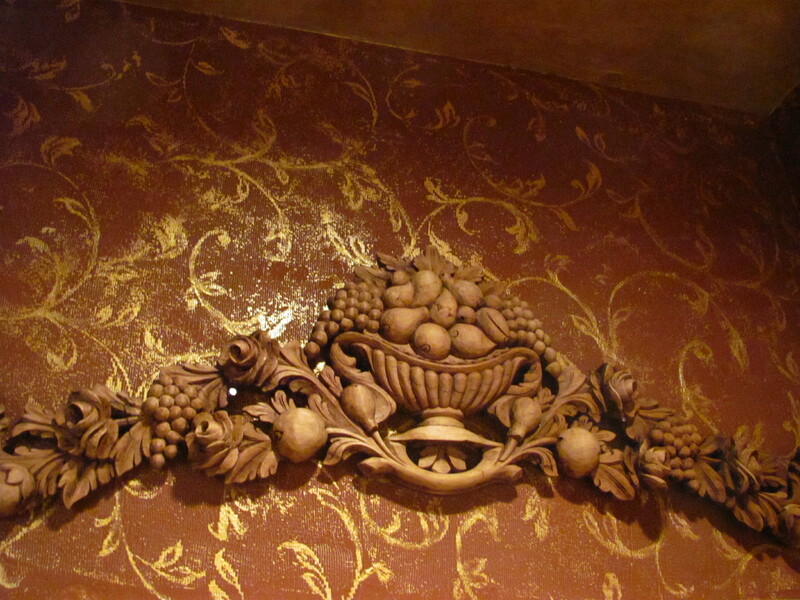 Not sure what this hand carved wood was originally but I flipped for it and just hung it over the door as art. Imagine all the work that went into carving it? 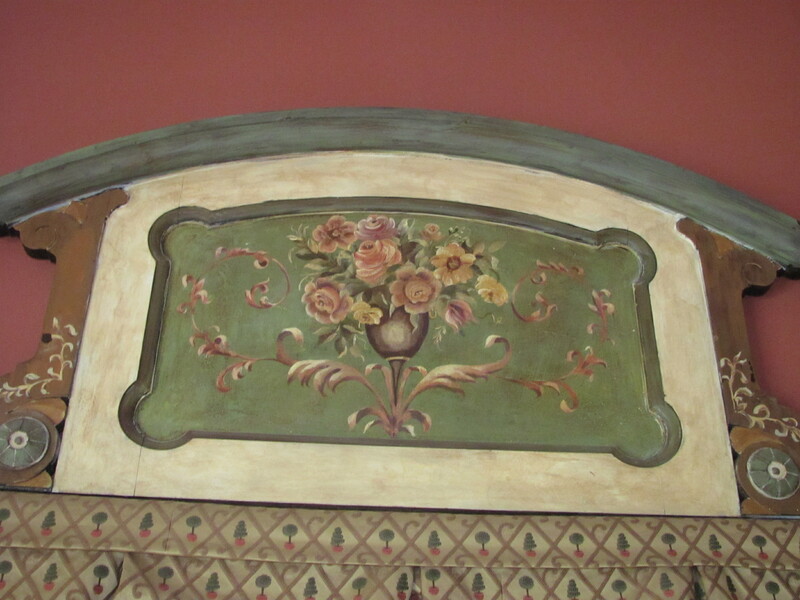 Most likely its original home was on a headboard or large armoire. I probably get the most compliments over these old shutters used for cornice boards that I found in someone’s pile of trash on the street. Oh, street trash is always the best. Don’t ever drive by a pile of furniture or pieces of a house on the side of the road. But try not to cause an accident! I caught my builder in “mid hammer” with this piece. He did a great job building it into the door frame. I’m really not even sure what it was in its former life! Top to an old Mirror… repainted and hung as an ornament. Lastly, this could be its own blog post. 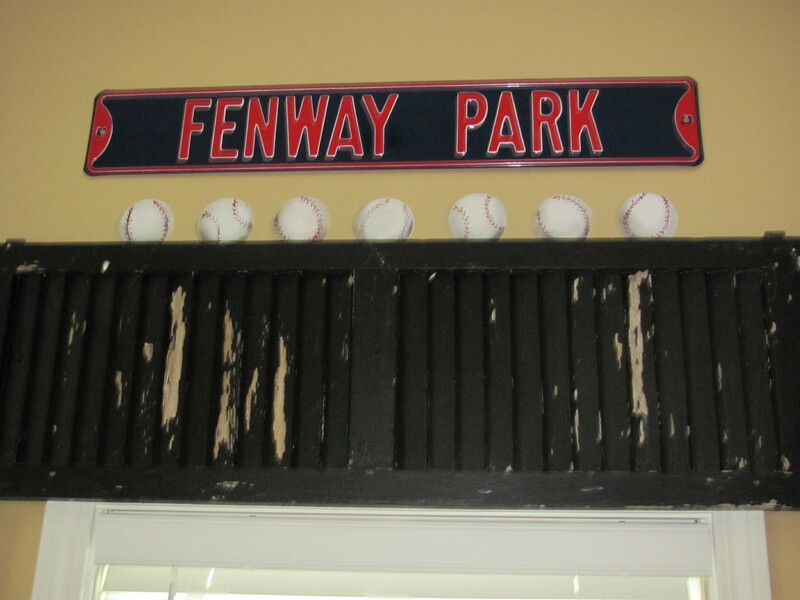 Take an old frame, get rid of the glass, replace with cork. Paint the frame copper or gold. 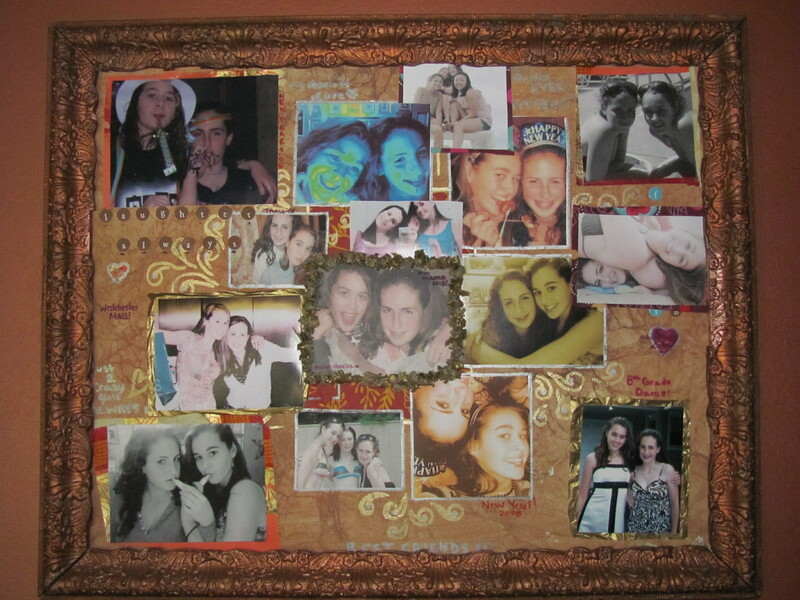 Then you’ll need a creative teen or the scrapbooker in the family to make it look like this!!! My daughter has 5 of these on her walls. Buy the squares of cork at Staples and apply to a piece of pressboard cut to the size of your frame. 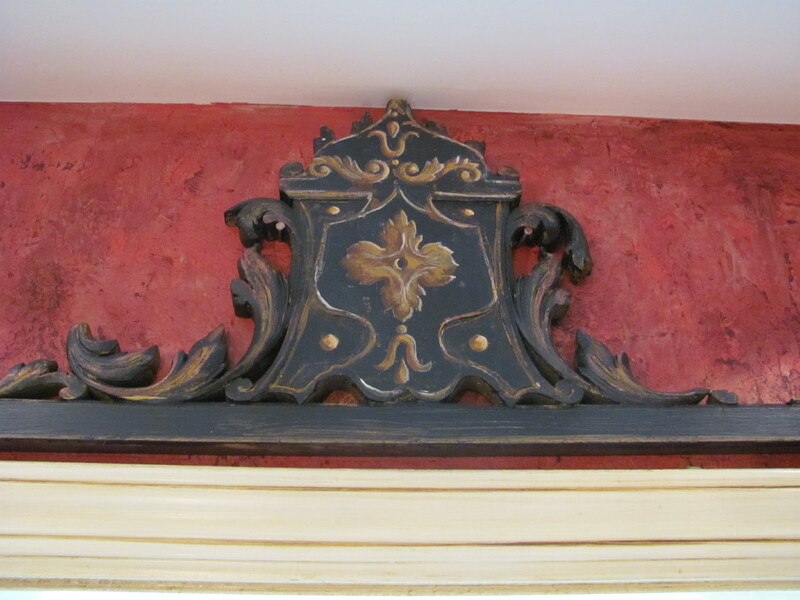 I love architectural fragments! They can tell a great story in a home. Yes, gives everything a little character! Thanks for reading! « Creativity in The Kitchen….and I don’t mean cooking!